Unique Stylish Purses | Miche Bags: Miche Purse Sale! 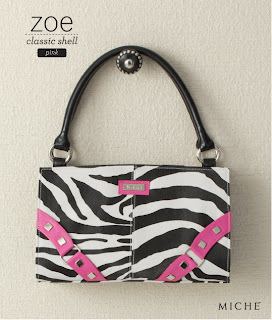 Classic Zebra Print Zoe in Blue, Pink, Yellow & Green! Miche Purse Sale! 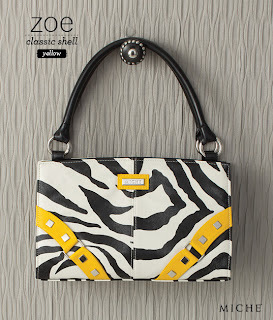 Classic Zebra Print Zoe in Blue, Pink, Yellow & Green! It's black and white and fun all over. 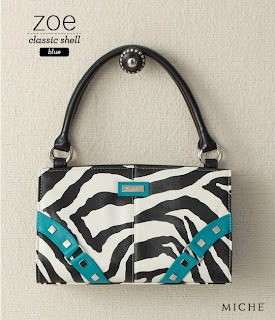 The Zoe Shell for Classic Bags is Miche's homage to the "wild side" in every woman! 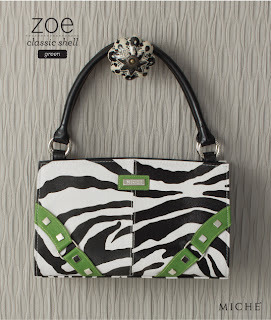 Chic zebra faux leather pattern is whimsically, with brightly-colored studded "buckle" corner accents in hot shades of yellow, pink, green and blue. Zoe brings new life to denim outfits and makes a powerful fashion statement when paired with basic black. This Miche Shell features all the very hottest of this year's warm weather trends all rolled into one delightful, high-fashion design. Skin is in—so go a little wild with Zoe!